Our concept of marriage today is a total contrast from what it was a hundred years ago. These days, far from committing themselves to a lifetime of domesticity and financial dependence, modern brides are savvy and financially secure and in the same way, how we host and celebrate weddings has naturally evolved and we are now presented with more opportunities to bend tradition and personalise the day than ever before. 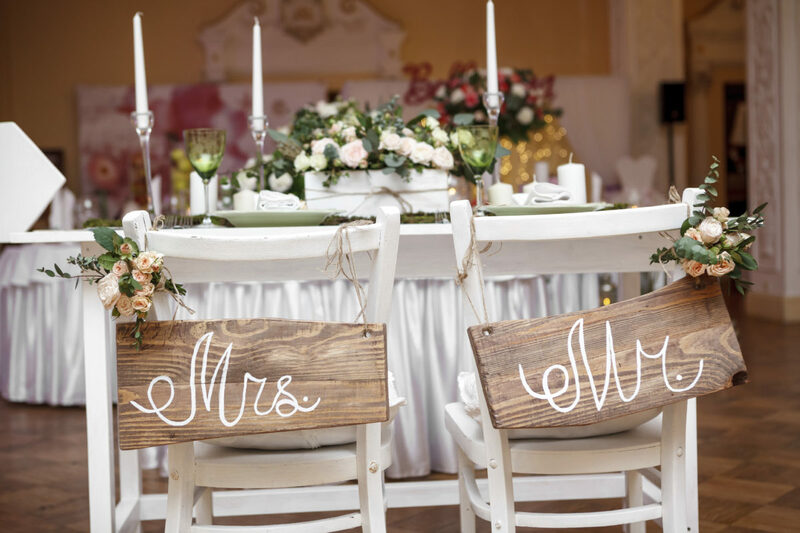 Styles and trends come and go … traditions are passed down the generations and respected more over time however there are a number of ways you can still honour the time bound traditions of a formal wedding ceremony whilst still making it your own. Let’s take a look at some of the ways brides can bring a centuries-old occasion bang up to date! Your choice of wedding stationery is a great way to set the tone and reflect your approach from the outset. Traditionally the invitation was from the bride’s parents and was simple and elegant but as times have changed – often along with who is financing the wedding – invitations are sent directly from the couple and have become more colourful and fun with the additions of coloured lettering, ribbons and laser cutting to reflect their own personalities. Traditionally catching the bridal bouquet was a sign of good fortune for the un-married girl who caught it, and indicated that she would be the next to be wed; these days if you don’t have that many single girls at your wedding (or you prefer not to identify so publicly those who are! 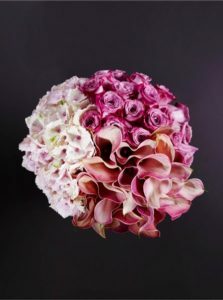 ), you are in luck, there are a couple of alternative ways that you can still make a feature of your bouquet and celebrate its symbolism. 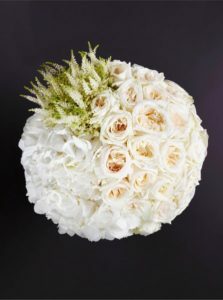 Discuss with your florist that you’d like to take your bouquet apart and present individual flowers to your friends and loved ones – a design can then be created which features several groups of individual arrangements making one large bridal bouquet. 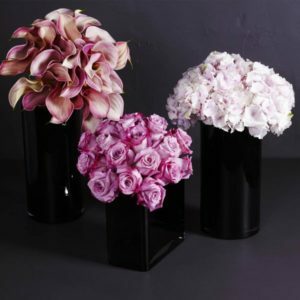 We love Trilogy by Larry Walshe – a multi optional bouquet crafted using 3 individual varieties which can then be divided and enjoyed as 3 individual designs for days to come. Photography on the big day itself has come a long way since the days of the formal, posed shots with various members of both families which became formulaic and lacked any spontaneity. Reportage photography is when shots are not posed or set up but instead, natural and spontaneous moments are discreetly captured by the photographer’s expert eye, without the knowledge of the subject. “There’s a world of difference between pictures where people pose for the camera, and ones that capture the natural fun, drama and romance of your wedding day as it unfolds” says photographer Paul Rogers. In addition, the rise in popularity of drones has also opened up a whole new way of capturing the memories of your wedding. Today’s drones can capture truly spectacular aerial wedding photographs that you’ll want to treasure forever – and they can capture key moments of the day – such as videoing a special moment between the bride and groom or perhaps photographing a big group of guests from above. Drone filming can reveal the grandeur of a wedding venue and it’s surroundings as well as offering versatility – for example, get creative with your wedding shots and gather your guests on the lawn to spell out words or a shape visible from above! 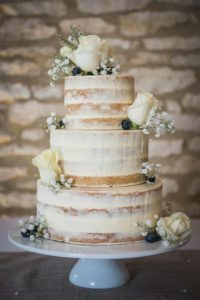 A wedding cake traditionally symbolises good fortune and fertility – the white icing represents purity and the number of tiers traditionally represented prosperity. 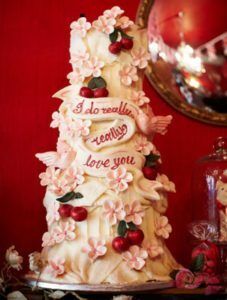 In a wedding world where people are leaving more and more traditions behind, the good news is that the wedding cake is still going strong – in fact, wedding cakes are getting bigger, bolder and more extravagant than ever! 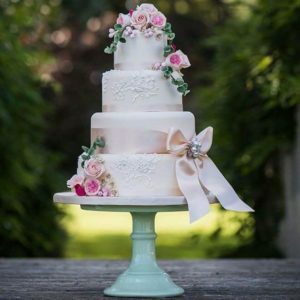 Whilst we will always treat as a thing of beauty and incredible skill the perfect traditional smooth cake, we also love the fact that there are now a broad range of options to choose from for a bride looking for something out of the ordinary or more reflective of her personality. In conclusion, the most beautiful part about all of adding contemporary touches to a traditional day is that what today is considered modern, the next generation will consider traditional; therefore it is not so much modern versus traditional, as it is a combination of both. How you choose to combine them will ultimately set the tone for the memory for the years to come.